A former British protectorate, Bahrain is a small country (less than a million people) but one of the world’s most densely populated, with almost 80% of the population living in the two main cities of Manama and Al Muharraq. As with other prosperous Gulf countries, Bahrain is home to a large foreign labor population (about 34%). Surrounded by oil-rich nations, Bahrain sees the transit of most of the West’s oil before it reaches the open sea. The country’s own declining oil reserves prompted a transition to oil processing and refinery, while a focus on other sectors, such as banking and service, helped launch early economic growth. However, the substantial lead that Bahrain had over neighboring Gulf sheikhdoms in the 1970s is over, and economic and political progress remains relatively stagnant. Discontent among the majority Shia population has been a source of tension for the Sunni-dominated government. Since 1999, a reformist regime has transformed the country’s political composition and democratic institutions, and Shias currently hold a majority of seats in the parliament’s elected branch. However, tensions still run high, concurrent with regional political struggles. Culturally, Bahrain has also become somewhat of getaway for Saudis seeking the pleasures of a less restrictive society (e.g., alcohol, nightclubs, prostitution), thanks to a 15-mile bridge connecting the island to the Saudi Peninsula. However, the government has cracked down on these institutions in recent years. For obvious reasons, Bahrain has to tread carefully among its various contending allies—Sunni-dominated Saudi Arabia; the U.S., which has a major naval base stationed in Bahrain; and Iran, home to a powerful Shia government. Lay of the Land: Bahrain is an archipelago of 33 islands located in the Persian Gulf, about 15 miles from the east coast of Saudi Arabia and 17 miles from Qatar. The largest island, accounting for 83% of the area, is Bahrain Island, where the capital and largest city, Manama, is located. Bahrain’s other large islands are Muharraq, Umm an Nasan, and Sitrah. Bahrain has a total area of 256 square miles, which is about 3.75 times the size of the District of Columbia. Desert constitutes 92% of Bahrain and periodic droughts and dust storms are the main natural hazards for Bahrainis. Population: 718,306, including more than 200,000 non-national guest workers. Religions: Shi’a Muslim 53.1%, Sunni Muslim 28.1%, Christian (Catholic, Protestant, Syrian Orthodox, Mar Thoma) 8.9%, Hindu 6.5%, Buddhist 0.2%, Baha’i 0.2%, Jewish 0.1%, non-religious 0.4%. Ethnic Groups: Bahraini 62.4%, other 37.6%. Languages: Baharna Arabic 44.3%, Gulf Arabic 14.8%, Arabic (official). Bahrain is the site of the ancient civilization of Dilmun, a crossroads of Mesopotamian and Indian trade routes that dates from as early as 3,000 B.C. Sometime after 600 B.C., Bahrain was incorporated into the Babylonian empire, but no historical references exist about the territory until Alexander’s appearance in the Persian Gulf in the 4th century, B.C. Most of Bahrain’s population was converted to Islam in the 7th century A.D. From then on, the territory was ruled variously by Arab Caliphates, Persians, Portuguese and others until the Al Khalifa family captured it from Persian rule in 1783. In order to guard against the threat of Ottoman invasions, the Al Khalifa family entered into a series of treaties with the UK establishing Bahrain as a British protectorate. Under this arrangement, Bahrain was prohibited from disposing of territory or entering relations with foreign powers without the consent of the British. In 1968, Bahrain joined the other eight Gulf states under British protection to form the United Arab Emirates. However, Bahrain declared itself fully independent in 1971. Shortly after the introduction of a constitution and the country’s first parliamentary elections, the King disbanded the Assembly in response to a perceived threat to Al Khalifa rule and an attempt to expel the U.S. Navy from the country. Although two-thirds of the indigenous population is Shi’a, the ruling family and a majority of government, military and business leaders are Sunni. During the 1990s, Bahrain was afflicted by a wave of political violence associated with the disaffected Shi’a majority. The government responded by ostensibly making room for dissent. Violence ebbed, but several bombings in 1996 led to the arrest of more than1,000 people who were held in detention without trial before being released. In 1999, Sheikh Hamad Isa bin Al Khalifa succeeded his father, who had ruled Bahrain since 1969. Hamad ushered in an era of significant political and democratic reform, including the establishment of a committee, the National Action Charter, to oversee its transformation to a constitutional monarchy by 2002. Put to a public vote in 2001, the Charter won support from almost 95% of voters. Shortly thereafter, Hamad pardoned all political prisoners and detainees and abolished the State Security Court and laws that had allowed the government to hold detainees without trial for up to three years. Also in 2001, Hamad established the Supreme Judicial Council to regulate the country’s complex legal system and separate judicial and administrative branches of government. The constitutional monarchy was established the next year and the government announced its first municipal elections in more than 50 years. Hamad also instituted several economic reforms aimed at increasing transparency. About half the population voted in both municipal and parliamentary elections in 2002, with women making up 52% of voters in the former category. In 2006, an internal government plot to rig the elections to the exclusion of Shia candidates was uncovered, but opposition groups agreed to continue with the elections after receiving assurances from the king about the fairness of the process. Critics of the government cite the decades of questionable nationalization policies – in which foreign Sunnis have been imported and granted choice government jobs and nationality in an effort to “even out” the Sunni-Shiite balance. The American Mission Hospital has operated in Bahrain for over a century, and the U.S. has held a naval base in the country since 1947. Diplomatic relations ensued shortly after independence, when the U.S. opened its Manama embassy in 1971. A resident Ambassador was sent in 1974 and Bahrain opened its Washington, D.C. embassy in 1977. The two countries signed a Defense Cooperation Agreement in 1991, granting U.S. forces access to Bahraini facilities and the right to “pre-position material for future crises.” Bahraini pilots flew strikes in Iraq during the 1991 Gulf War, the country was used as a base for military operations in the Gulf, and Bahrain provided support to enforce UN sanctions and prevent illegal smuggling of oil from Iraq in the 1990s. In 2001, the U.S. declared Bahrain, the site of the headquarters of its Naval Fifth Fleet, a Major Non-NATO Ally. Current relations between the two countries become more complex amid various regional and internal conditions, including fractioned leadership within the ruling royal family, the continued discontent of the marginalized Shia majority and a perceived impending threat from Iran. For much of the 20th century, Iran has claimed sovereignty of Bahrain, considering it part of its historical territory. The fear is that this premise, periodically reiterated in rhetoric from Iran’s religious leaders, will materialize as a real threat to the country’s national sovereignty or security. Observers also point to the fact that Bahrain, like Iraq before the overthrow of Saddam Hussein, has a Shia majority, but is ruled by the Sunni minority. Until the U.S. invasion of Iraq in 2003, Iran was the country ruled by a Shia government. Bahrain is caught between a desire to align itself with U.S. interests–hence the 2006 Free Trade Agreement and continued military cooperation–and the need to keep on good terms with the religious dictators of Iran. The U.S. is widely criticized for turning a blind eye to the Bahraini government’s human rights abuses and democratic weaknesses (e.g., prejudicial practices towards Shiites and political persecution of opposition groups including Islamists, rigged elections) in exchange for access to oil, a military base and anti-terrorist cooperation. 168,366 Americans visited Bahrain in 2006, primarily on business. With the exception of 2006, the number of visitors has remained between 137,000 and 150,000 since 2002. 5,630 Bahraini traveled to the U.S. in 2006. The number of visitors has grown gradually since 2002, when 3,802 Bahraini came to the United States. Bahrain was the first place in the Middle East in which oil was discovered. Today, petroleum production and processing account for about 60% of export receipts, 60% of government revenues, and 30% of GDP. However, Bahrain’s oil reserves are small and expected to last only until about 2020, so the government has taken steps to diversity and expand the economy into banking (including Islamic finance), heavy industries, retail and tourism. As a result, Bahrain has the fastest growing economy in the Arab world. In 2006, Bahrain became the first member state of Gulf Co-operation Council (GCC) to enter a Free Trade Agreement with the U.S., making all bilateral trade in consumer and industrial products between the countries duty-free. The agreement also requires Bahrain to open up its service, telecommunications and finance sectors to U.S. investment, as well as tighten its intellectual property regulations. In 2007 Bahraini exports to the U.S. totaled $626.2 million, a slight decrease from the previous year but over all steadily up from 2003. The highest singe valued export for 2007 was returned/re-imported U.S. goods, followed by bauxite and aluminum ($171.2 million, down from a spike in 2006); cotton products ($99.4 million, down steadily since 2003); fertilizers, pesticides and insecticides ($91.7 million, up steadily in recent years); fuel oil ($30.4 million, up from $0 value in 2003 and 2005-2006, but down from a 2004 value of $56.4); and industrial organic chemicals ($16.3 million, down in recent years). U.S. exports to Bahrain totaled $591.3 million in 2007, a steady increase since 2004. The highest single-value export was passenger cars ($120 million), followed by “minimum value shipments ($89.4 million); drilling and oilfield equipment ($26.6 million), up in recent years; civilian aircraft ($23 million, down from 201 million in 2003); and telecommunications equipment ($13.9 million). The U.S. exported fuel oil for the first time in recent years to Bahrain ($16.7 million in 2007). Industrial machine exports were at $20 million in 2007, up in recent years. The U.S. gave $16.4 million in aid to Bahrain in 2007. This was all dedicated to Peace and Security; the budget allotted $15.0 million to Foreign Military Financing, $776,000 to Nonproliferation, Antiterrorism, Demining and Related Programs, and $616,000 to International Military Education and Training. The 2008 budget estimate decreased aid drastically to $5.8 million, but the 2009 budget request will return aid to higher levels, to $21.0 million. The 2009 budget will be distributed similarly, with $19.5 million going to Foreign Military Financing, $800,000 to Nonproliferation, Antiterrorism, Demining and Related Programs, and $650,000 to International Military Education and Training. New York-based Alcoa, the world’s third-largest aluminum producer, is under investigation by the U.S. Justice Department for allegations that the company bribed officials in Bahrain to obtain business. The federal government jumped in after Bahrain filed suit against the company in Pittsburgh. According to Human Rights Watch, human rights conditions in Bahrain worsened in 2007. Despite changes initiated since 2001 by a reformist ruler, the government has done little to institutionalize human rights in law, and continues to practice restrictive policies towards freedoms of expression, assembly and association. (HRW World Report 2008). According to the U.S. State Department, Bahraini citizens “did not have the right to change their government” in 2007. Citizens were not able to form political parties, but political societies were in some cases allowed to participate in “other political activities.” The U.S. annual report also found fault with the judiciary, and corruption. Domestic violence against women and children was “common,” as was discrimination on the basis of gender, religion, sect and ethnicity. According to HRW, women continue to suffer in the absence of any written personal status law, which allows the mostly “conservative religious scholars with limited formal legal training” that staff Sharia-based family courts to interpret the law in favor of men, and against principles of equality for women. Additionally, loose language in written laws regulating freedom of assembly and counterterrorism measures allows for broad, subjective interpretation – and the maltreatment of organizers, protesters, political prisoners and other detainees. According to observers, authorities continue to use press laws to restrict coverage of sensitive topics, particularly those relating to government corruption, and several journalists have been arrested for defamation. Human trafficking was a problem in 2007, as was the protection of foreign laborers’ rights and the rights of the Shia population. Counterterrorism laws and a new drug law prescribe the death penalty for certain offenses, which is a considerable slide for Bahrain, a country with a limited history of capital punishment. The Bahrain Center for Human Rights, dissolved by the government 2004, continues to operate with support from international actors. Free Trade Agreements (FTAs) are a heated topic of debate. Bahrain was one of six countries that entered an FTA with the U.S. in 2006. Critics claim that such arrangements, especially between the U.S. and developing nations, facilitate unilateral market penetration to the near-exclusive benefit of the U.S., while crippling emerging economies by making them dependent on U.S. imports and investment. Supporters of FTAs argue that they are the best way to open up and therefore grow developing economies. Still others argue that the proliferation of bilateral agreements in recent years erodes the multilateral system and the power of the World Trade Organization to broker more sensible and effective deals. Name: William A. Stoltzfus, Jr. Note: Accredited also to Kuwait, Oman, Qatar, and the United Arab Emirates; resident at Kuwait. Name: Robert H. Pelletreau, Jr. Note: Pelletreau also served as Ambassador to Tunisia in 1987 and to Egypt in 1991. Note: David S. Robins served as Charge d'Affaires ad interim, Mar 1993-Jul 1994. Note: Young also served as Ambassador to to Sierra Leone from 1989 to 1992, to Togo from 1994 to 1997, and to Slovenia from 2001 to 2004. Note: Newmann also served as Ambassador to Algeria from 1994 to 1997, and to Afghanistan from 2005 to 2007. Bahrain's Embassy Web Site in the U.S.
Bahrain’s Embassy in the U.S. In June 2011, President Barack Obama nominated diplomat Thomas C. Krajeski to be the U.S. ambassador to Bahrain. Krajeski has spent much of his career serving in the Middle East and Persian Gulf regions, including two stints in Iraq. He received his confirmation hearing before the Senate Foreign Relations Committee on September 21. The son of Chester and Helen Krajeski, Thomas Krajeski was born in Groveland, Massachusetts. He studied Russian language and literature at the University of Massachusetts at Amherst, earning his BA, after seven years, in 1975. He continued his studies at the University of North Carolina at Chapel Hill until 1977. He joined the Foreign Service in June 1979. His early assignments included the U.S. embassy in Kathmandu, Nepal (1980-1982); as chief of the consular section in Madras, India (1982-1984); in the State Department Press Office (1985); and as the deputy chief of the consular section in Warsaw, Poland (1985-1988). In 1988, Krajeski returned to Washington to be the political desk officer on the India Desk in the Bureau of Near Eastern and Asian Affairs. He followed this assignment with a stint as a senior watch officer in the Operations Center during the Gulf War in 1990. After completing two years of Arabic language studies at the Foreign Service Institute, he served as a political officer at the U.S. embassy in Cairo, Egypt until 1997. During his Cairo tour, Krajeski was the embassy liaison to the Palestinian-Israeli negotiations that resulted in the Gaza-Jericho Agreement in 1995 and the Palestinian Administrative Agreement of 1996. From 1997-2001, Krajeski was the principal officer and consul general at the U.S. Consulate General in Dubai, United Arab Emirates. From 2001 to 2004, he was the deputy director, and subsequently, the director of the Office of Northern Gulf Affairs (Iran and Iraq) in the Bureau of Near Eastern Affairs. 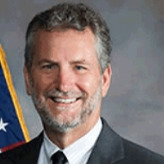 During this time, from July to October 2003, Krajeski served, at least in name, as a political advisor on Ambassador Paul Bremer’s staff at the Coalition Provisional Authority in Baghdad. His first opportunity to serve as ambassador came in July 2004, when he was posted to the Republic of Yemen, where he served until July 4, 2007. From August 2007 through March 2008, he was the director of career development and assignments for the State Department in Washington, where he managed the assignment process for more than 12,000 Foreign Service officers and specialists. Krajeski served from April 2008 to April 2009 at the U.S. embassy in Baghdad as the senior advisor to the ambassador on Northern Iraq Affairs, where he worked on the negotiations regarding the permanent boundary of Iraqi Kurdistan. In August 2009, he began his assignment as the senior vice president of the National Defense University, which included overseeing the school’s international programs and providing foreign policy perspective. Krajeski also lectured on foreign policy, national security issues, the interagency process, and the role of the State Department. Krajeski and his wife, Bonnie, who married in 1975, have two daughters and one son. Bonnie Krajeski served as a USAID project management advisor while her husband was ambassador to Yemen.